Yesterday, in an attempt to assist U.S. solidiers in the efforts to identify members of Saddam Hussein's regime, the Military issued a deck of cards featuring Iraqi officials. That deck contained 55 cards, and featured pictures of Qusay Hussein (as the Ace of Clubs) and Deputy Prime Minister Tariq Aziz (the Eight of Clubs). Today, however, soldiers who were confused about decks of cards they had in their posession mistakenly shot the King of Hearts, who they claimed "failed to respond to repeated requests to take off his crown." In other of areas of Iraq, the Queen of Hearts was discovered making some tarts, and immediately placed in custody. The Jack of Diamonds evaded capture after a lengthy chase by coalition forces. When contacted, the Bicycle Corporation had no explanation of why so many members of their decks were present in Iraq, but bemoaned the accidents and threatened legal action. 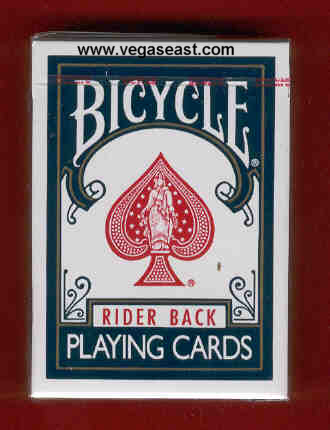 "This is a terrible tragedy for card players all over the world," said Fred Bazillionaire, chief spokesman for the Bicycle Corporation. Officers of the Bicycle and Bee Corporations were considering filing wrongful death suits, but could not, at press time, decide who would lead and which suit would be trump. The incidents have affected games everywhere. Terry Hinkle, President of the Hearts Gaming Club of America, complained, "The Jack of Diamonds is now impossible to get. He just doesn't show up in any hand. That's -10 points that I personally could pick up in pretty much every round I ever played. If only they had taken out the Queen of Spades." In an unrelated story, Pfc. Norman Ishkowitz, who had been on something of a "lucky roll," was shaken upside down until his pockets were emptied after a poker game with members of his platoon in which he was discovered to have two Saddams and an extra Uday hidden in his cargo pants. Tariq Aziz, in Secret Communication, Complains He "Should Have Been a Face Card"